New Horizons, the NASA spacecraft had to switch to 'safe mode' because of a command-loading error it faced earlier this week. The spacecraft is programmed to transition into the safe mode automatically under certain conditions so that it continues to operate as expected. In the safe mode, the spacecraft suspends its regular scheduled activities and points the antenna towards the Earth to listen to the masters at NASA's Mission Operations Center at Johns Hopkins University's Applied Physics Laboratory (APL) in Maryland. NASA informed that after staying in 'safe mode' for about 24 hours, the spacecraft is almost back into its regular operational mode. The systems are working smoothly. 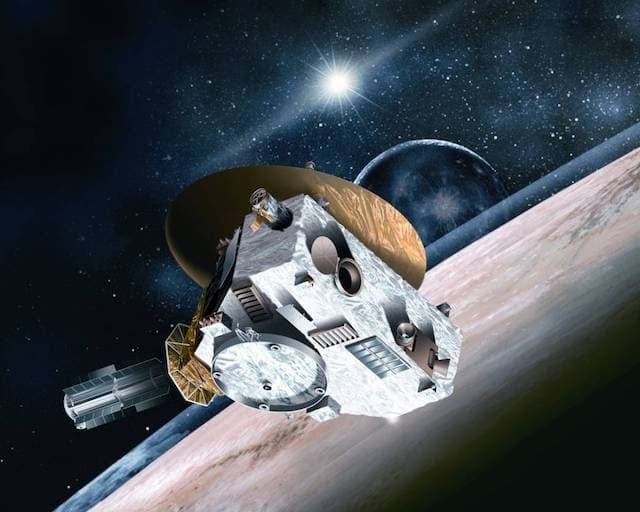 Alice Bowman, the mission operations manager at APL informed that the rapid recovery of New Horizons was supported by the DNS aka the Deep Space Network - an international array of giant radio antennas set up by NASA. New Horizons is perfectly healthy and is ready for its next target - Kuiper Belt object 2014 MU69. NASA's engineers are working on resuming scientific data collection and expect that the craft will commence its full operations by February 12th. Working with a spacecraft that is speeding at 58,536 kmph ( about 16 kilometers per second ) has its own challenges. It takes about 10.5 hours for radio signals to make a return trip from Earth to spacecraft.